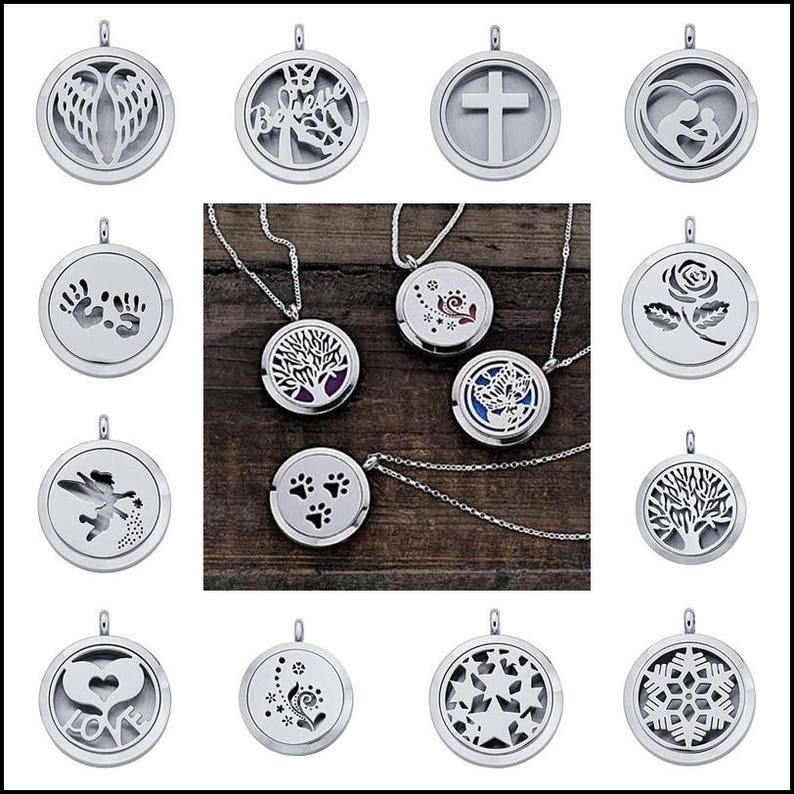 These stainless steel 30mm round lockets features a laser-cut design and holds a felt insert that can be charged with any fragrance or aromatic oil. A smooth hinge and two magnets ensure the locket opens easily and closes securely. The laser-cut design allows the color of the felt insert to peek through, creating an eye-catching—and interchangeable—look. Add a few drops of your favorite perfume or essential oil, providing a subtle aromatherapy throughout the day. 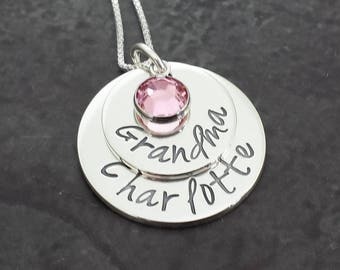 Comes on a 20in stainless steel cable chain and 4 different colored felt pads. 14 designs to choose from..